Hello, I'm Peter Higginbotham, the creator of this web site. 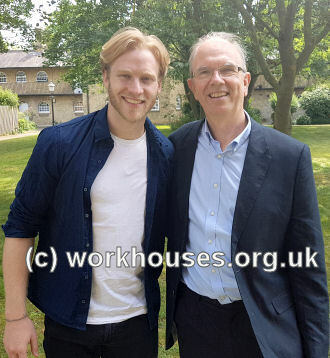 I first became interested in workhouses while researching my family history. I discovered that my great-great-grandfather had died in a workhouse and that his death had been registered by the matron. I also became fascinated by the buildings after seeing an old Victorian Ordnance Survey map of the town where I then lived. At the edge of town was a huge hexagonal shape which dwarfed everything in the area. Eager to discover more, I visited the local libraries but found that they had precious little information about the large and fearsome building which had stood there for the best part of a century. This web site, which began life at the start of 2000, is the result of my researches and visits to hundreds of former workhouse sites across the British Isles, from Truro to Thurso, and from Dover to Donegal. At the last count, it contained over 2800 web pages, 6000 photos and illustrations, and 1800 maps and plans. All this work has been done entirely in my own time and is totally self-funded, so donations are always very welcome and appreciated. Apart from compiling the web sites such as this one, I've written many books and articles, as well as contributing to radio and TV programmes, such as Radio 4's Making History and Tracing Your Roots, and BBC TV's Heir Hunters, Who Do You Think You Are?, Coming Home, Timeshift, and Servants: The True Story of Life Below Stairs . I have also presented many talks on subjects such as the workhouse, children's homes, the history of the prison etc. Quite separate from my historical researches, I have written several pieces for the stage including Steam Radio (an affectionate parody of Brief Encounter) and Making Ends Meet (set in the world's most unsuccessful dating agency). A radio version of Making Ends Meet. In 2014, I launched a major new website childrenshomes.org.uk, providing information on the 1000s of varied establishments that became home for the nation's children. 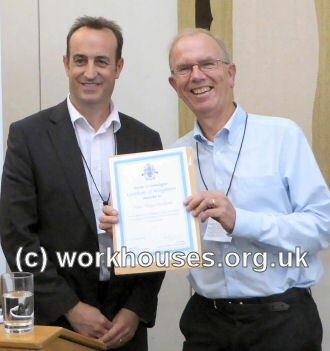 In 2015, I had the honour of being awarded the Society of Genealogists' prestigious 'Certificate of Recognition' for my 'dedication in compiling extensive information on workhouses and children's homes and making it widely available.' The award was presented by Dr Nick Barratt in conjunction with my talk 'Welfare before the Welfare State' at Westminster, part of the parliamentary 'Festival of Freedoms'. With Ben Robinson for BBC4's Pubs, Ponds and Power. 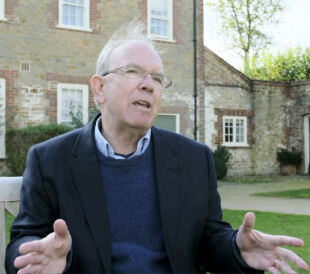 At Easebourne for Phil Spencer's History of Britain in 100 Homes. Receiving my 'Certificate of Recognition' from Dr Nick Barratt. 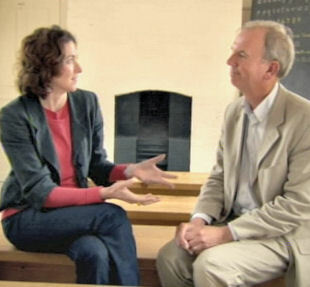 At St Ives workhouse site with Jonnie Peacock for BBC1's Who Do You Think You Are?. At Gressenhall workhouse with Mary Berry for BBC TV's Who Do You Think You Are?. 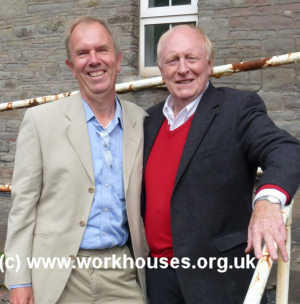 At Bristol workhouse site with Neil Kinnock for BBC Wales' 'Coming Home'. 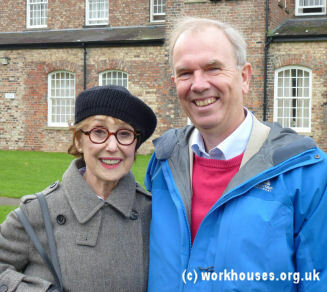 At York workhouse site with Una Stubbs for BBC TV's Who Do You Think You Are?. 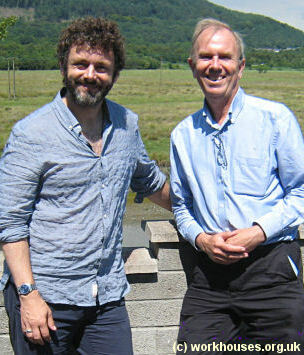 At Neath workhouse site with Michael Sheen on BBC Wales' 'Coming Home'. 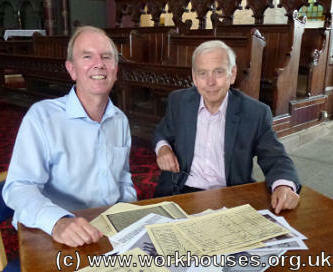 With John Humphrys for BBC Wales' Coming Home. 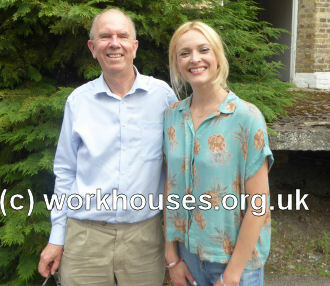 At Ongar workhouse site with Fearne Cotton for BBC TV's Who Do You Think You Are?. With Sam Womack for BBC TV's Who Do You Think You Are?. 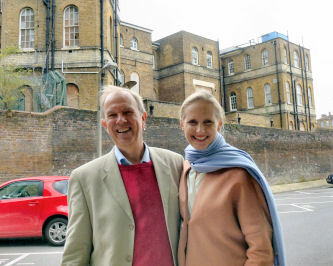 With Dr Pamela Cox for BBC2's Servants: the True Story of Life Below Stairs. 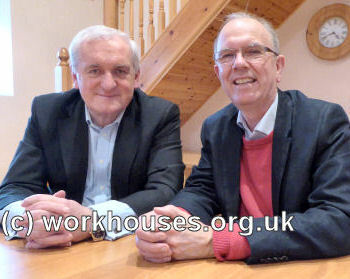 At Dunmanway workhouse with former Taoiseach Bertie Ahern for RTE TV's Who Do You Think You Are?. With Joanna Toye for BBC4's Britain's Oldest Family Businesses. A great number of people have contributed in numerous ways to this project and I'd like to say a very big thank you to you all. One person who deserves particular mention is Kathryn Morrison at English Heritage whose trail-blazing work both educated and inspired me.